As leading manufacturer and supplier at retail packaging industry,Paper Bags Shop specialize in manufacturing paper shopping bags,paper gift bags, non woven bags and gift boxes,and wholesale tissue paper,wrapping paper,ribbons and bows. With emphasis on quality and competitive pricing, Paper Bags Shop offer not only full range of paper bags, paper shopping bags,but also wide range of innovative gift packaging & retail packaging products and custom made packaging products for your retail and corporate needs. Increase customer awareness and ensure consumer's satisfaction with our eco friendly gift packaging and retail packaging products as Paper Bags Shop takes your corporate image to the next level. Paper Bags Shop specialize in manufacturing full range of high quality paper shopping bags and paper promotional bags including laminated paper bags,Euro Tote Paper Bags,luxury paper bags,brown kraft paper bags, white kraft paper bags.As custom made paper bags manufacturer,Paper Bags Shop offer quality paper shopping bags and paper promotional bags coming in a wide variety of material and design, they are available in any size.color.shape to fit any ends. Paper Bags Shop specialize in manufacturing custom printed Euro tote bags,Paper Euro bags coming in any size.We can print custom logo and image on Euro tote bags. Paper Bags Shop specialize in manufacturing kraft paper bags including brown kraft bags,white kraft bags,recycled kraft bags,twisted handle kraft bags,flat handle kraft bags. Kraft paper bags from Paper bags Shop are great as eco friendly shopping bags and promotional bags coming in any size,shape and color. Paper Bags Shop offer custom made gift boxes,retail boxes,packaging boxes including rigid boxes,foldable boxes,gable boxes,corrugated boxes and more.Those custom made gift boxes come in any size,shape and color to fit customer's end exactly. As reusable and eco friendly shopping bags, non woven bags have become more and more popular.As non woven bags manufacturer,Paper Bags Shop offer full range of non woven bags including non woven shopping bags, non woven promotional bags,non woven suit cover,wine bags,foldable bags,cooler bags,drawstring bags,tote bags and more. Laminated Paper Bag,made of 170g art paper,glossy lamination,cmyk full color printing,pp rope handle with eyelets and reinforced paper board.Paper Bags Shop can print your logo and image on laminated paper bags,we also offer wide range of paper,handle,lamination,finishes process to create your laminated paper bags to fit your end. Euro tote paper bag,made of super fine coated paper with matt lamination,two colors printing for custom logo,rope handle with reinforced paper board.Paper Bags Shop specialize in manufacturing custom printed Euro tote paper bags,we can print your logo on eurotote bags for your branding.You can choose from wide range of paper,printing,handle,print finishes to create your euro tote bags. Those bags are mad of brown kraft or white kraft paper bags,with full color printing and twisted paper handle.Paper Bags Mall can print your logo and image on twisted handle kraft bags to advertise your business in green and cost effective way. Those bags are made of 100g white kraft paper,with full color printing and flat paper handle,they are 100% recyclable and eco friendly. Paper Bags Mall can print custom logo and image on flat handle kraft bags at great cheap price.And flat paper handle is available in any color.Short run is available. 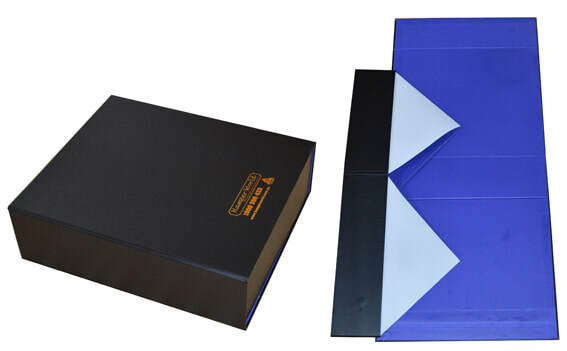 Custom made Foldable Rigid Box,made of 1200g paper board,covered by art paper with matt lamination,two colors printing,100% ink coverage,hot stamping logo,folding sideway,coming in flat to save space and freight.Paper Bags Shop specialize in printed custom logo on foldable boxes. 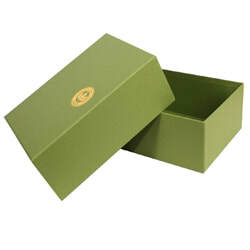 Custom Made Rigid Box,made of 1200g paper board,covered by art paper with matt lamination,solid color printing,100% ink coverage,printed logo on lid of box,two piece,base and lid style.As rigid boxes manufacturer,Paper Bags Shop specialize in manufacturing quality rigid boxes,set up boxes,we can print custom logo and image on rigid boxes.